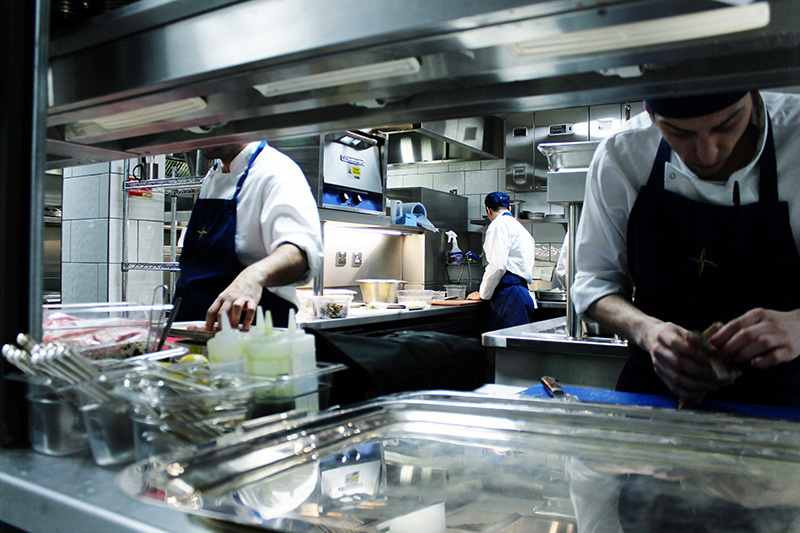 Isabel boasts elegant dining in the heart of Mayfair, London. This luxurious bar and restaurant offers a unique experience to customers through it’s design and menu. Exotic woods, green velvets mirrored walls set the tone for a truly special experience in the ‘Mayfair sister of Notting Hill's Casa Cruz’. The base design was originally carried out by SHW but the client wanted to then appoint a kitchen house to take over the project from SHW including developing the initial design through to design freeze, supply & installation. 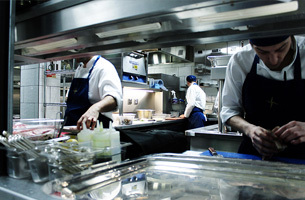 The team were appointed after initial interviews with both Juan Santa Cruz, the owner of Isabel’s and Casa Cruz in Holland Park, and Gareth Sefton of SHW. 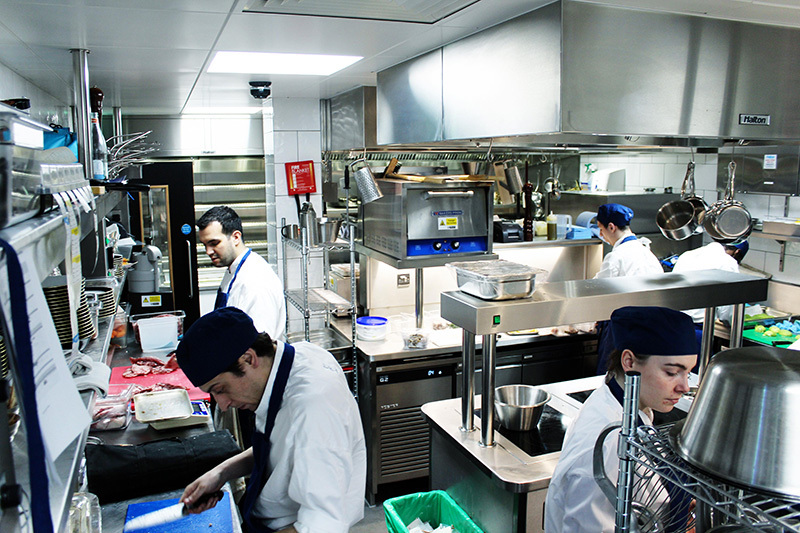 The restaurant is located in a very prestigious part of Mayfair so it was always going to be a high profile project, we developed the design of the project in conjunction with Thomas Straker, the Group Head Chef. This enabled us to tailor the design to his exact requirements. 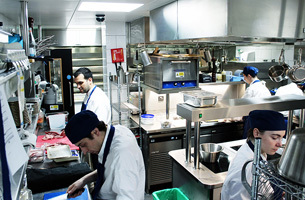 The main contractor was WFC who we have worked with on numerous restaurant projects as we have a very good working relationship with both themselves and all of the professional team, so we integrated into the team very quickly. 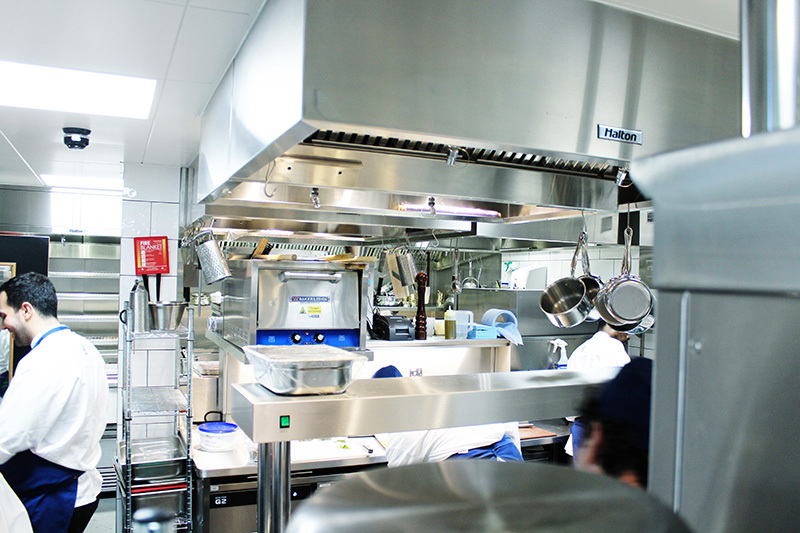 The key challenge on this project were the size of the kitchen, which is very compact for a restaurant of this size. 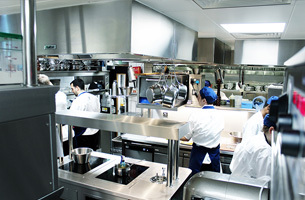 This meant placing a lot of very specified equipment into a very small space, meaning that every dimension had to be checked and cross checked to ensure the ergonomics were correct and the flow of the kitchen worked. 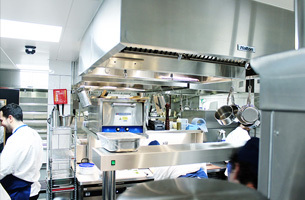 The kitchen is also located in the basement, causing a logistical issue with getting the equipment in to the kitchen area. 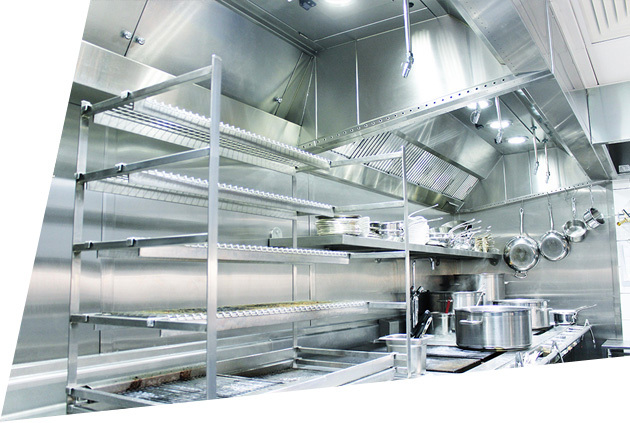 Hallmark had to be sure to correctly size sections of the cook suite along with fabrication, ventilation canopies, coldrooms and more to suit the access. Once we ensured that everything was specified correctly the project ran very smoothly through to completion and we at Hallmark are very proud of the finished kitchen. 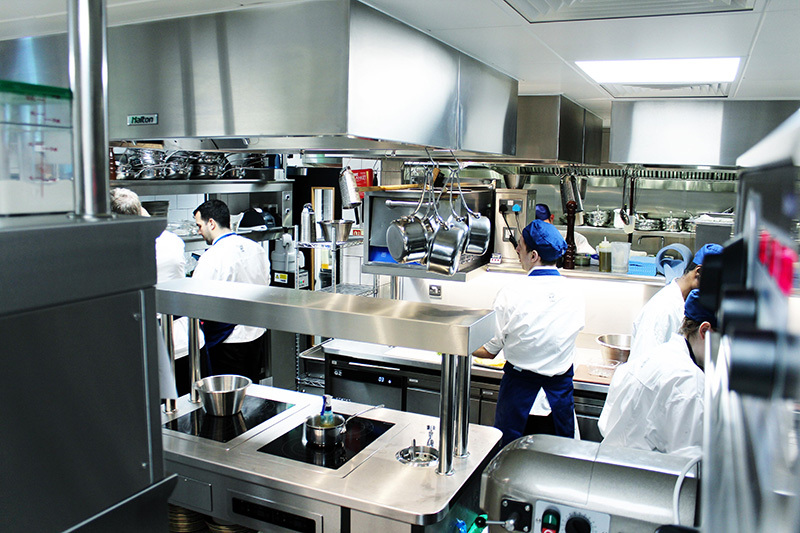 The equipment specification was of a very high standard and included counter style fabrication by Select Fabrications, Halton ventilation canopies with UV filtration, Ansul and water mist protection, Coldrooms by Foster Coldstore, cook suite by Athanor, dish & glass washing by Meiko, Robata grill by Clay Oven Company, Combi ovens by both Rational & MKN and Foster refrigerated cabinets. These along with various other pieces of proprietary equipment both integrated into fabrication as well as stand alone were installed on site.